I consider myself primarily a crocheter, and though I’ve known how to do a knitted cast on and make garter stitch or stockinette stitch rectangles for just about as long as I can remember, I figured since I work in a yarn store now I should really get this knitting situation up to speed. Even before that though, I’ve seen a number of Vickie Howell‘s Youtube tutorials and clips from her show, Knitty Gritty, and I’ve always thought she was very likable and charismatic as a presenter and her way of teaching easy to understand. 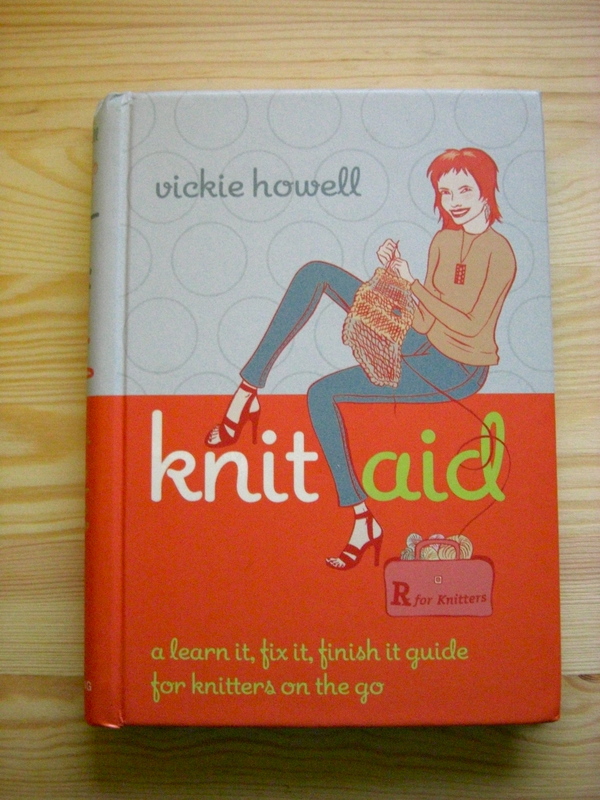 So, when I decided to really get stuck in, I looked up her books on The Book Depository, and I ordered myself a copy of Knit Aid: A Learn It, Fix It, Finish It Guide For Knitters On The Go. So, I’ve not read right through it yet, because it’s not that sort of book, but here are my first impressions. I like it a whole lot and it’s definitely earned a place in my knitting bag, but I feel that it’s important to know that if you were to buy it, I would keep in mind that it doesn’t really lend itself to learning the techniques it covers. The instructions and diagrams aren’t especially detailed and rarely more than a page or two is spent on any one topic, but it does make a great reference tool for those times when you get stuck or just need a quick refresher. I really enjoy the conversational style that Vickie uses, and for techniques that I already know but might need to reacquaint myself with, the info in this book fills the gaps perfectly. The hardcover binding, spiral spine and size of Knit Aid makes it perfect to just throw in a project bag or your backpack to keep it handy for those times when you get stuck. There are also plenty of helpful charts and graphics for quick reference on things that you might not necessarily keep memorized, including garment sizing charts, yarn weights, and label codes. 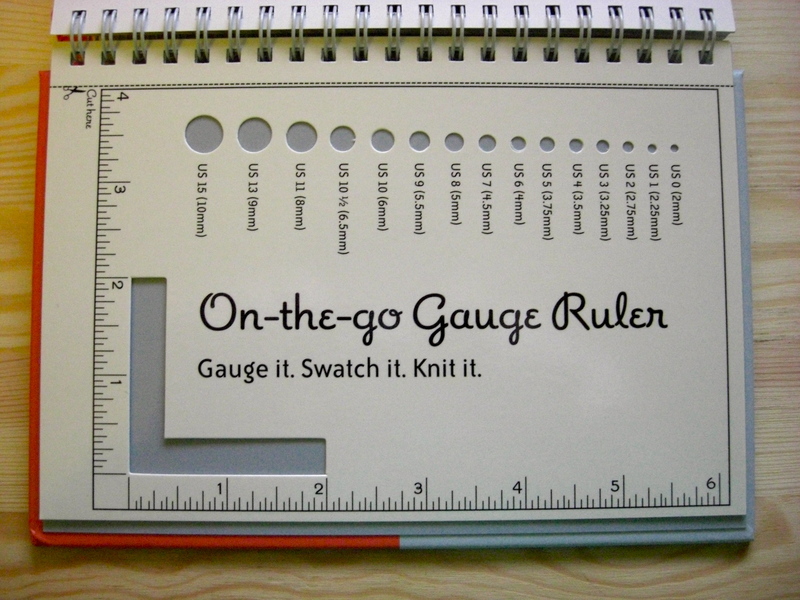 Also, you will find in the back a handy gauge ruler the you can cut out or leave in. So long as you’re aware that you might not get all the answers you’re looking for if you’re learning something from scratch, I think that Knit Aid by Vickie Howell is a pretty handy resource to keep handy while you’re knitting. It’s also very reasonably priced and well presented which makes it super easy to recommend, especially for knitters that are progressing from a beginners level and taking a step up (like me!). That looks like an awsome book Raynie!